Fleet Pond, Hampshire’s largest freshwater lake, has a long history dating back to the Middle Ages, when it was the fishery for the Priory at Winchester. In 1954 the pond and its reedbeds, fens and dry heathland was one of the first nature reserves to be granted Site of Special Scientific Interest (SSSI) status. Now it is silting up badly because of local developments and is in danger of losing its SSSI status, possibly even disappearing completely. Imagine Fleet without its pond! Over the next few years Fleet Pond’s Clearwater campaign needs to raise significant amounts of money to stop Fleet Pond silting up and losing its SSSI (Site of Special Scientific Interest) status. I am asking you to sponsor my bike ride to Liverpool and back this summer. 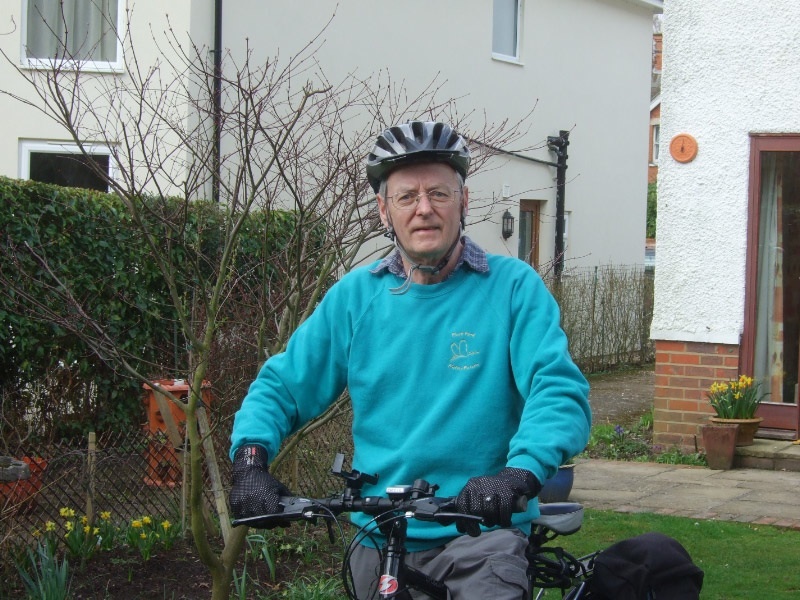 As I will be riding alone, and carrying all my clothing in two panniers on the bike, I don’t need any back-up vehicles so all money raised will go to the Clearwater campaign. Why to Liverpool? I have quite a lot of family in Liverpool and two years ago I celebrated my retirement by cycling 250 miles to Liverpool. I was a bit over-ambitious by trying to do over 50 miles a day, regardless of the many hills on the way. This was evident in the last sentences of my diary. ”If I talk about doing this again, please lock me in a pub and throw away the key. Never again, well at least not into a head wind and not over those same hills.” Obviously suffering from memory loss, this winter I decided to do it again, adding a return journey, but at a more modest 40 miles a day. I plan to go to Liverpool via Reading, Bicester, Banbury, Leamington Spa, Lichfield, then up the Trent Valley, over to Cheshire and by ferry across the Mersey to Liverpool. I will then spend a day or so resting and visiting family. I will ride back through Cheshire to Ironbridge, Evesham, the Cotswolds and finally back to Fleet. I expect the round trip of about 500 miles to take about two weeks and I will set off sometime in July or August, depending on weather prospects. Please, therefore, sponsor me. The best way is online via www.charitygiving.co.uk/nickkeeley. If you are a UK taxpayer and fill in the Gift Aid declaration a few more pounds can be reclaimed by us from the tax authorities. This is by far the best way for the Society, as it saves us having to write to people to collect you sponsorship after the ride. Alternatively, you can send me a cheque, payable to Fleet Pond Society together with your address and email address. Your cheque will not be cashed until after the ride and will be returned if the ride does not take place. Your email address will enable me to let you know how the ride goes. Thanks very much. Major Event At The Pond On 22 May! 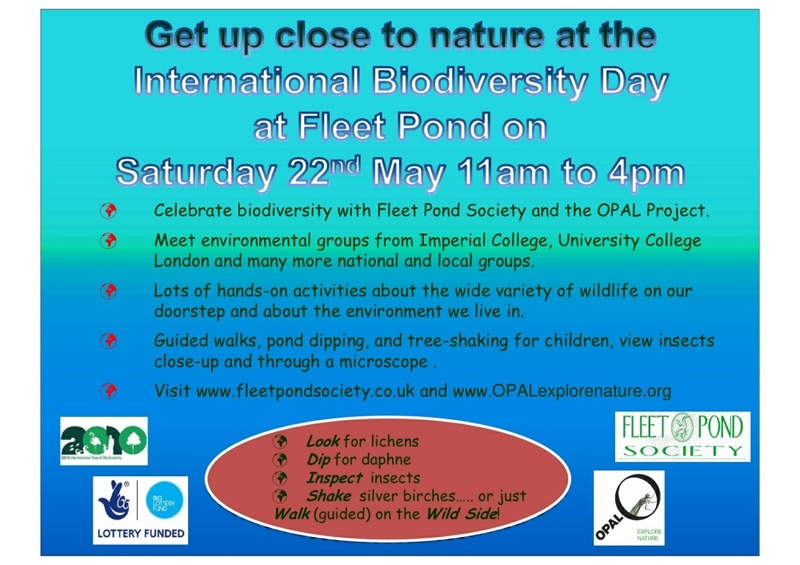 Fleet Pond Society and the Lottery-funded OPAL project is co-organising a local event at the Pond to celebrate International Biodiversity Day in this UN International Year of Biodiversity. Quite a coup for us. Hopefully we’ll be able to get lot’s of local groups there too. Please contact Colin Gray via email or phone 01252 616183 if you’d like to come along. We intend this to be an exciting ‘hands on event’. It will give everyone a chance to explain what they do and inspire more people to enjoy and care about their local environment. We’d expect to attract several hundred people and families to the event. Any local groups are welcome to do something at this event. We’re looking for hands on stuff but if they just want to come along and explain what you do and sell a few wares then that would be good too. And most of all – bring their chums as there will be lots for everyone to do. We’d be grateful if people could display and/or pass our poster around too. If they can think of any other groups who might want to come along, please ask them on our behalf. The event will run 11.00 to 16.00 at Fleet Pond Nature Reserve (see the website or this blog for details on the Reserve) and which is next to Fleet’s mainline station and 5mins from Junction 4a of the M3. The reserve centres around Hampshire’s largest freshwater lake which has important reedbeds, marshes as well as lowland dry heathland. It’s quite a coup to get the £12m Lottery-funded project OPAL down to Hampshire – usually their annual event is in the Royal Parks! We’ve asked the Environment Agency if they could do some fishing-related biodiversity stuff and Natural England to do something related to the Thames Basin Heaths. The OPAL Air and Water Centres will be there. We will have a professional photographer with us from 1.30 to 2.30. So you may end up on OPAL’s website or annual report! ‘Yeuch! That’s disgusting!’ was the main reaction of both boys and girls to the perfectly dried frog Colin produced from its small box. However, that reaction only lasted a fleeting moment, after that they all wanted to hold the frog and were surprised to feel the leathery texture and to look at what appeared to be a smile on its face. 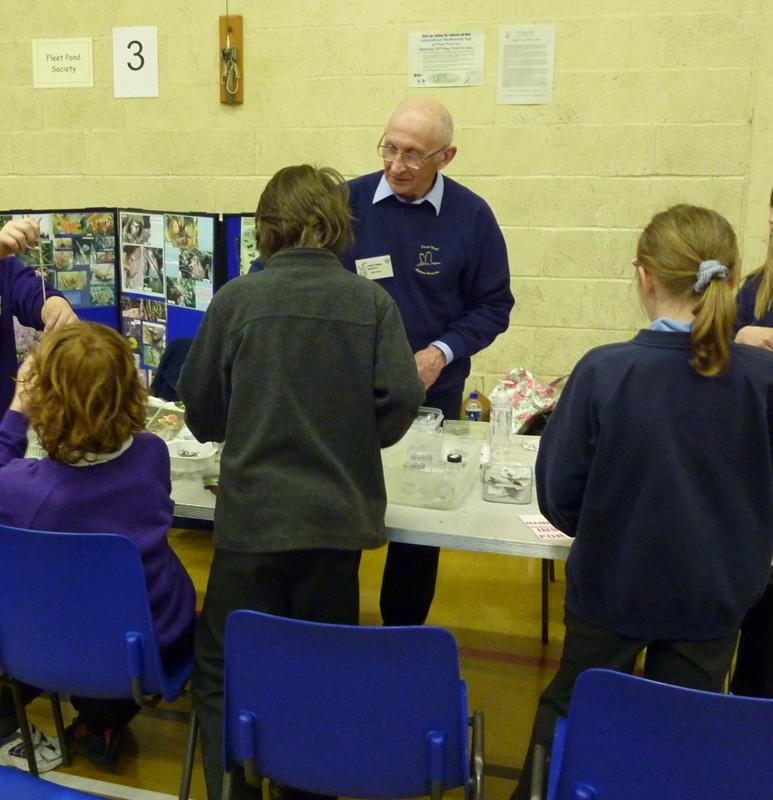 We were taking part in the Science Fair for Primary Schools held at Court Moor School in the week before Easter. Run by First Partnership it aimed, through a variety of exhibitors, to show primary children how science can be used in the workplace. The two days were very well attended by children in Year 5 of the primary schools in Fleet and surrounding villages. Bio-diversity was our topic and most of the children knew what a ‘Food Chain’ was and how it works. We moved onto wasps and wasps’ nests. Colin brought out a range of nests from the first one made by a queen, to the finished article which would have housed several hundred wasps. Like me, they were intrigued by the sheer beauty of the nest and the thought of the teamwork necessary to build it. Looking at a range of bugs and beasties under the microscope was by far the most popular activity at our table. We looked at wasps, bees, spiders, beetles and flies amongst many other insects. The dragonfly and nymph specimens intrigued the children, the fact that such a large insect had unfolded from, what was now the empty shell of the nymph, was a matter for great discussion. When asked the question ‘How many of you know Fleet Pond?’ a good number of children put up their hands and said that they regularly walk it. When asked ‘Do you know how deep it is?’ They were shocked to be told it is under a metre deep, they had thought it would be well over their heads. The one and half days spent at the fair were very enjoyable. The children were enthusiastic and asked many questions, and it was very satisfying to hear them walk away saying ‘That was brilliant, much more interesting than I thought it would be!’ From a group of 10 year olds that was praise indeed. Whilst other flowers are making a later appearance than last year, there’s no stopping the return of the robust Skunk Cabbage. The yellow flowers of Lesser Celandine are only just starting to show on the banks of the Brookly Stream, and the Easter flower, Wood-sorrel has yet to appear on the path to Sandy Bay. But the large, yellow, waxy flowers of American Skunk Cabbage are starting to pop up all around the pond. While most wildflowers need the warmth of the spring sun before they bloom, the Skunk Cabbage generates its own heat, which is strong enough to melt small patches of surrounding snow. The largest colony of Skunk Cabbage at the pond can be found by Brookly Stream as they formed part of the private garden that became Brookly Wood. American Skunk Cabbage was introduced to this country around 1900, when it became a popular addition to many gardens. 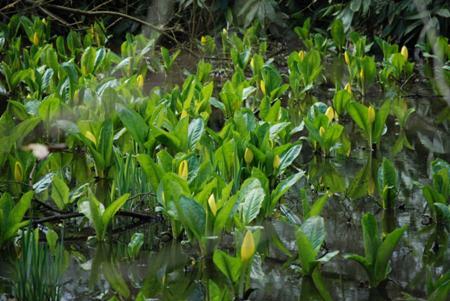 It has since spread as a naturalised plant in marshy areas. Its strong odour attracts flies, gnats, and bees necessary for its pollination. American Skunk Cabbage has been listed as a species that can be invasive, but as yet its impact is unknown. 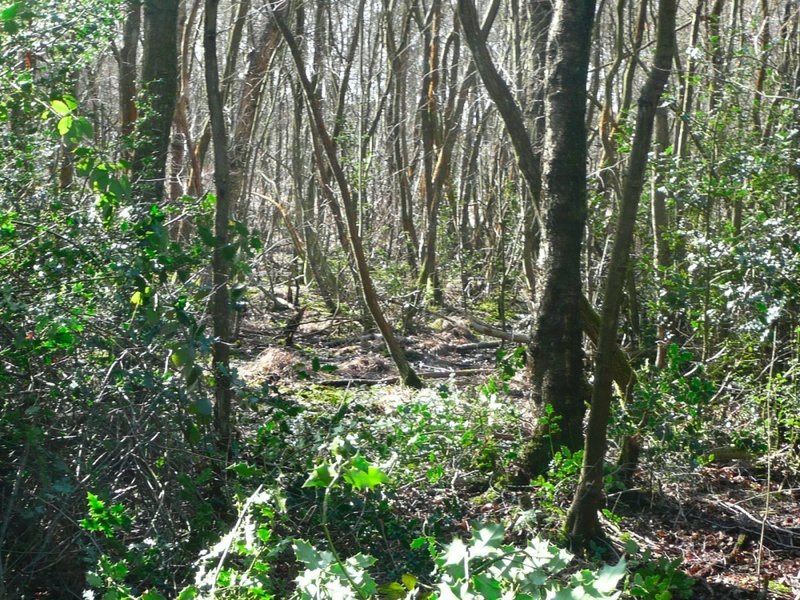 The wet woodland it favours is a rare and vulnerable habitat and the forceful Skunk Cabbage can crowd out other plants. A project has been launched to record and count invasive species that can have a destructive effect on native wildlife, and members of the public are asked to take part by taking photos and submitting them to the GB Non-Native Species Secretariat (NNSS) website. 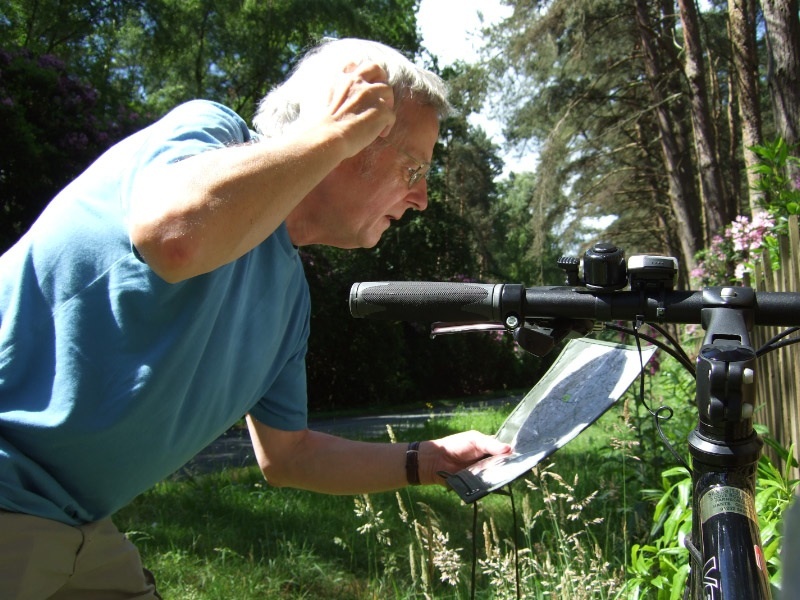 The Recording Invasive Species Counts (RISC) project is a way to find out more and to contribute to our understanding of the distribution and ecology of six invasive non-native species. It is co-ordinated by the NBN and BRC (part of the Centre for Ecology & Hydrology), in partnership with recording schemes for the animals and plants. The project is funded by Defra. 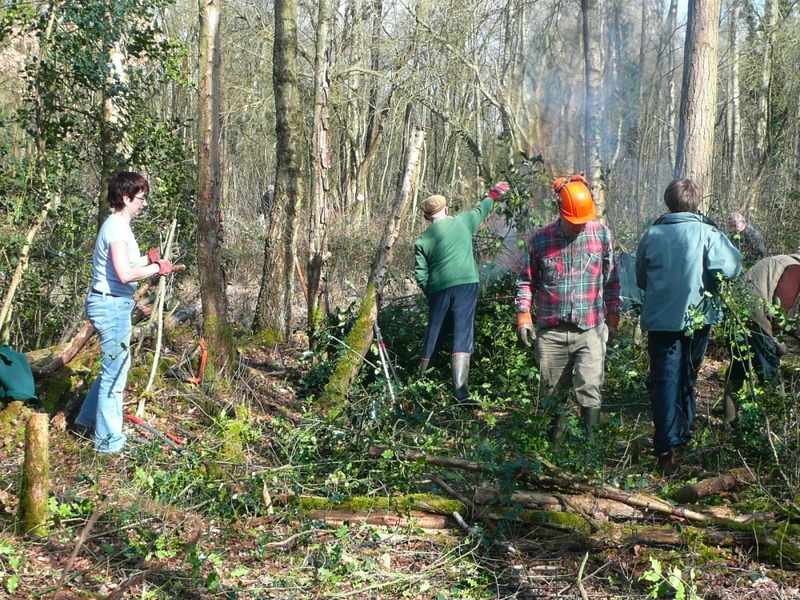 The day could be described as a biodiversity benefit day on a small scale. 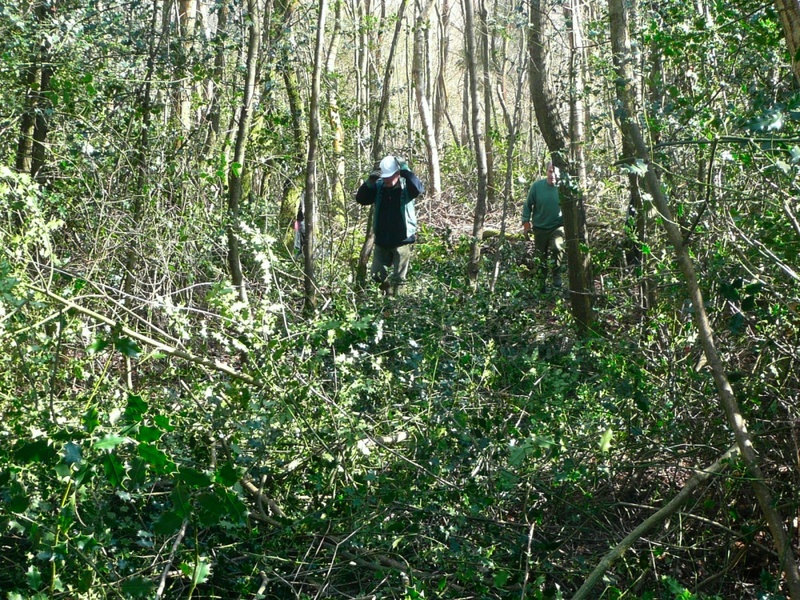 Volunteers went into the woodland that separates the small woodland glade we call Gelvert Glade to clear dense holly shrubs and remove selected young trees to open a narrow corridor between the Glade and Fugelmere Marsh to the west. The objective was to admit more light to the woodland floor to stimulate a diversity of ground plants to regenerate. This will benefit insect life that depends on flowering plants. The corridor will also create a flight path for bats. Bats use the Gelvert Stream as a feeding corridor between the canal and the Pond. This new corridor will create a linking feed corridor to the marsh. Breaks in the tree canopy create turbulent air at tree canopy level which concentrates flying insects, ideal feeding zones for bats. You are currently browsing the Fleet Pond Blog blog archives for April, 2010.